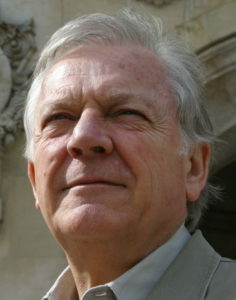 Alan Riding was born in Brazil to British parents and was educated in Britain as an economist and a lawyer. Eventually he opted for a career in journalism, moving from London to New York with Reuters and then to Mexico with The Financial Times. In Mexico, Riding joined The New York Times and remained with the paper for 30 years. At the end of his assignment in Mexico, Riding wrote Distant Neighbors: A Portrait of the Mexicans (Knopf), which has sold over 450,000 copies worldwide and is now considered a classic about modern Mexico. He then covered South America from a base in Rio de Janeiro before returning to Europe, first Rome, then Paris, in 1989. After five years as The New York Times‘ bureau chief in Paris, Riding then switched directions to become the newspaper’s European Cultural Correspondent. While in this post, he co-authored Essential Shakespeare Handbook and Opera, two illustrated reference books published by Dorling Kindersley. 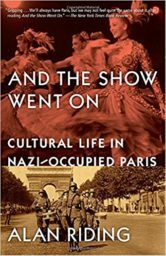 He is currently writing a book on the cultural life of Paris during the Nazi Occupation for Knopf. Riding was awarded the Maria Moors Cabot Prize by Columbia University for his coverage of Latin America and he has also been honored by the Overseas Press Club and the Latin American Studies Association in the United States. In 2003, Riding was made a member of the Orden del Aguila Azteca (Order of the Mexican Eagle), the highest honor give by Mexico to foreign citizens. Riding, who is fluent in English, French, Spanish and Portuguese, is married to the journalist, Marlise Simons and lives in Paris, France.